Small electrical fire in backup generator was quickly extinguished. 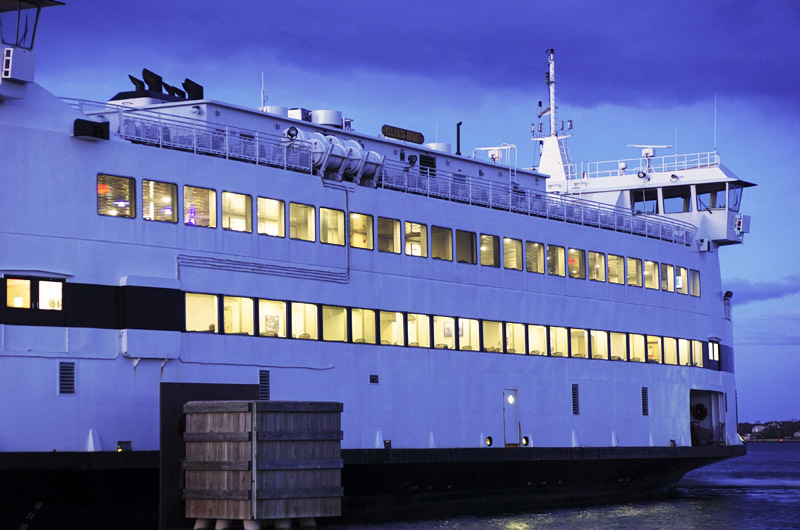 The Steamship Authority ferry Island Home was back on its usual route between Woods Hole and Vineyard Haven Tuesday, two days after an electrical fire broke out aboard the ship while it was docked in Fairhaven for scheduled maintenance. The fire was confined to a generator compartment on the top deck of the ferry, adjacent to the crew barracks. Fire officials said there were no injuries, and boat line personnel have repaired damage to the back-up generator. According to the Fairhaven fire department, a maintenance worker turned on backup generators used to provide electricity in the event the main generators fail. The generator malfunctioned, causing batteries and wiring to catch fire. A crew member put out the fire using a chemical fire extinguisher. Firefighters responded to the vessel at 2:17 p.m. on Sunday. When they arrived, the captain of the Island Home escorted them to the top deck. Mr. Davis said batteries, wiring and switches were replaced, and a new switch was added to the wiring system to prevent a similar incident in the future. A 7 a.m. Island Home trip Tuesday from Vineyard Haven to Woods Hole was cancelled because of a separate mechanical issue.